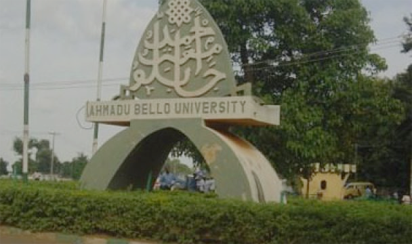 The authorities of Ahmadu Bello University (ABU) and the joint unions of universities are at loggerhead over staff school resumption. The university’s management had directed teachers of the university’ s staff school to resume duty today, Monday, Jan. 15. However, the joint unions comprising Senior Staff Association of Nigerian Universities (SSANU), Non-Academic Staff Union (NASU) and National Association of Academic Technicians (NAAT) disrupted the resumption. Ahmadu Bello University (ABU), Zaria, Kaduna. Members of the unions were at the staff school premises compelling teachers to go back home. Speaking with journalists on Monday, Hajiya Hadiza Kabir, National Women Leader, SSANU, said the nationwide strike embarked upon by the unions was still on. “We are here to ensure that our members comply with the strike directives by the national body, because it is a nationwide strike, so ABU staff school should not be an exception. “This is in line with sections 43 and 44 of Trade Union Act, the reason being that since we are on strike, the teachers of the staff school are our members, and so must be involved. “It is rather unfortunate that ABU management had gone ahead to say that the staff school teachers should resume, but they are part of us,’’ she said. According to her, the Federal Government is yet to implement the decision of the judgement of the national industrial court as it affects universities’ staff school teachers. The women leader said staff schools were still part of the university system, hence, they must comply. When contacted, the Director, Public Affairs, ABU, Alhaji Adamu Mohammed, said he would investigate the matter from both sides and promised to get back later. However, as at the time of filing this report, the director was yet to respond. The post ABU management, union at loggerhead over staff school resumption appeared first on Vanguard News.